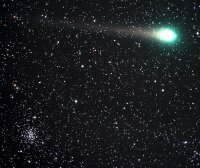 Comet Lulin is fading rapidly as it heads away from the Sun and past its closest approach to the Earth 18 days earlier. 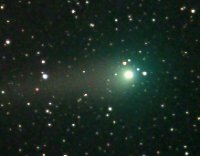 I had been hoping the skies would clear on the evening of March 12 to capture both Comet Lulin and Comet 29P/Schwassmann-Wachmann in the same field of my FSQ106/STL11K setup. 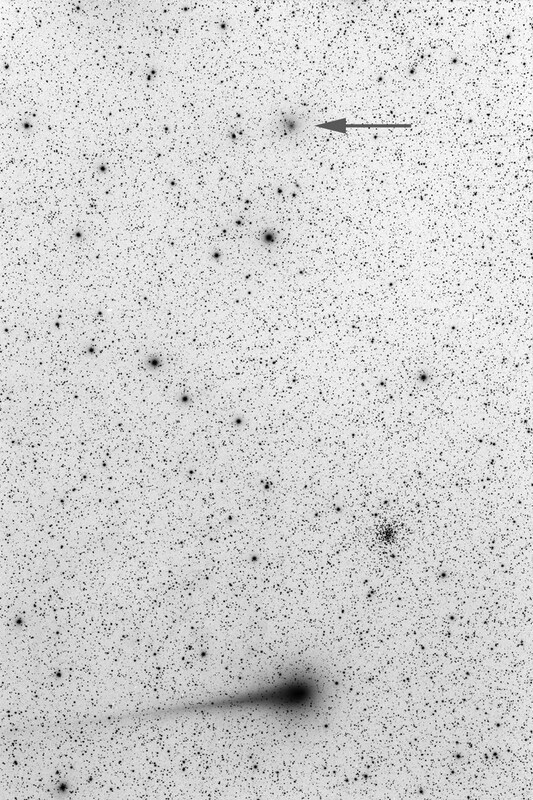 A bonus object in the field is the star cluster NGC2420 just above Comet Lulin. North is up in this image. 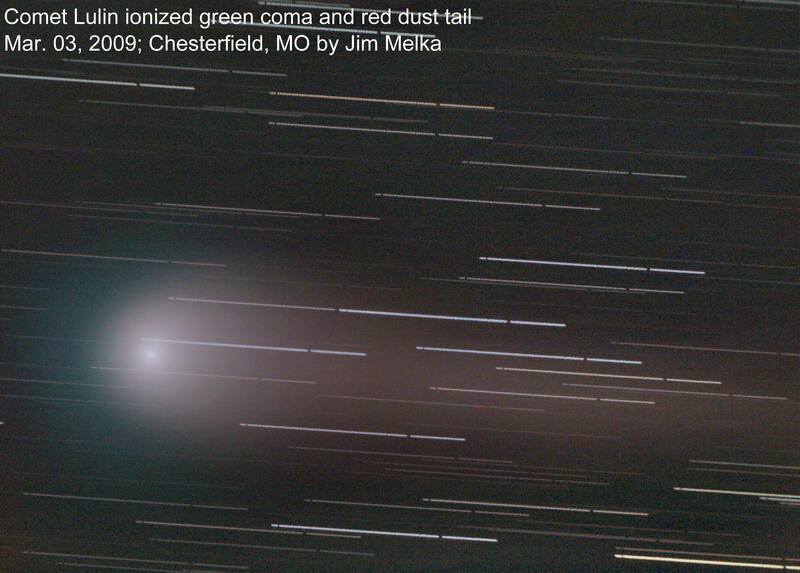 Exposure time centered around March 13 2009 03:54UT. 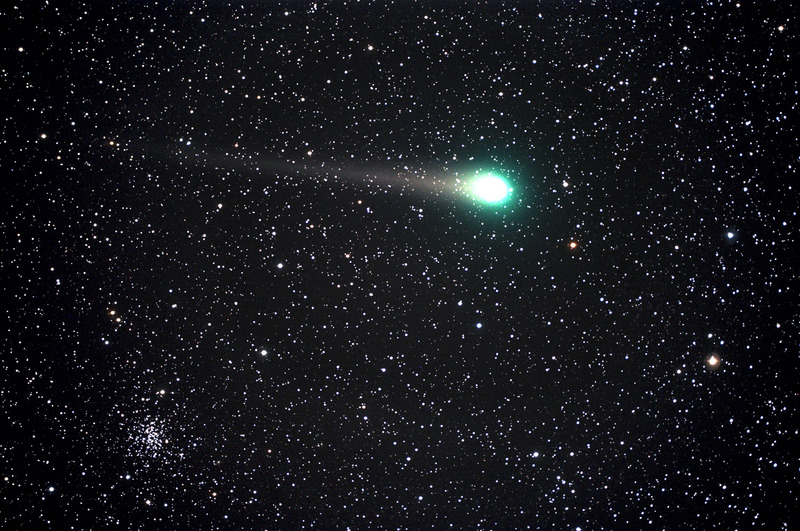 Imaged from Sierra Remote Observatories, California. 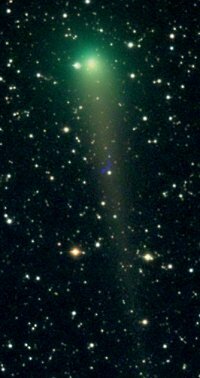 Comet Lulin is now gliding away from it's close encounter with the Earth and passing by the open cluster Herschel HI-6. 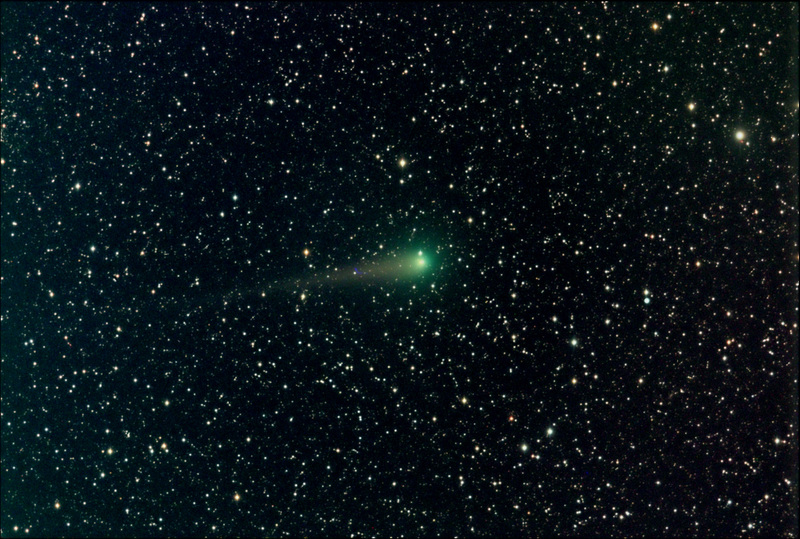 Meade 14" HyperStar f2 14 two minute exp stacked. 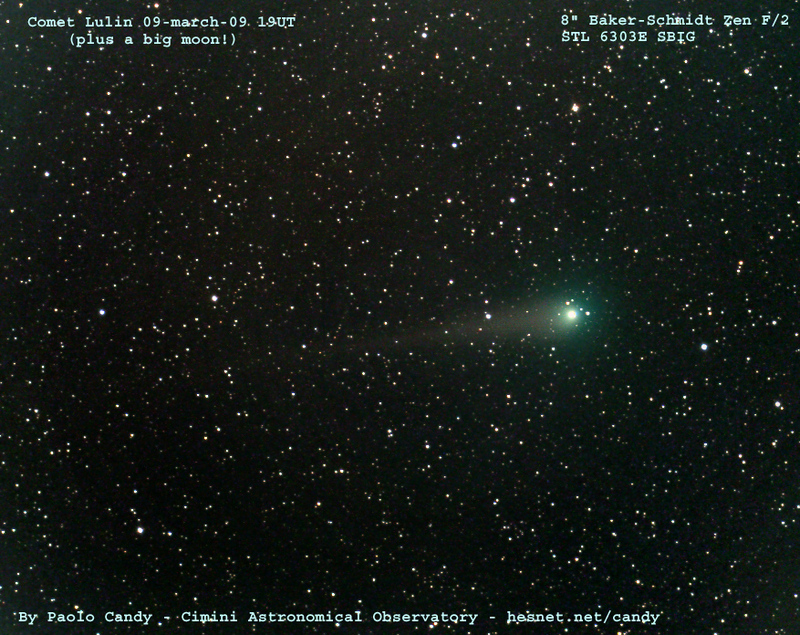 Ciao, ciao cometa Lulin! Bye Bye!